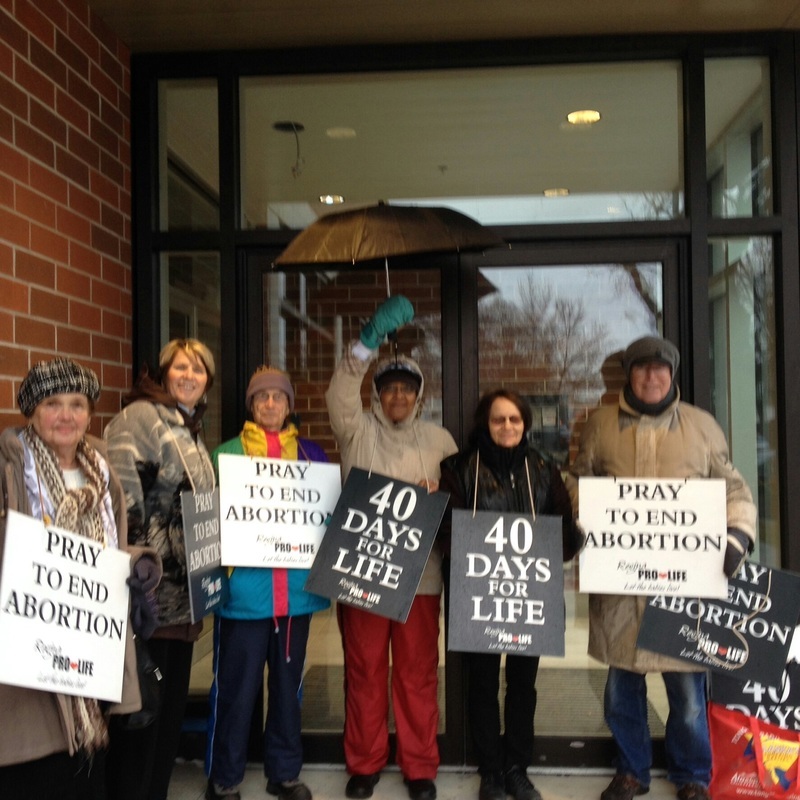 Thank you to all our volunteers who came out for 40 Hours for Life. We can never know what the fruits of our efforts are but we trust that God is guiding and supporting our efforts. 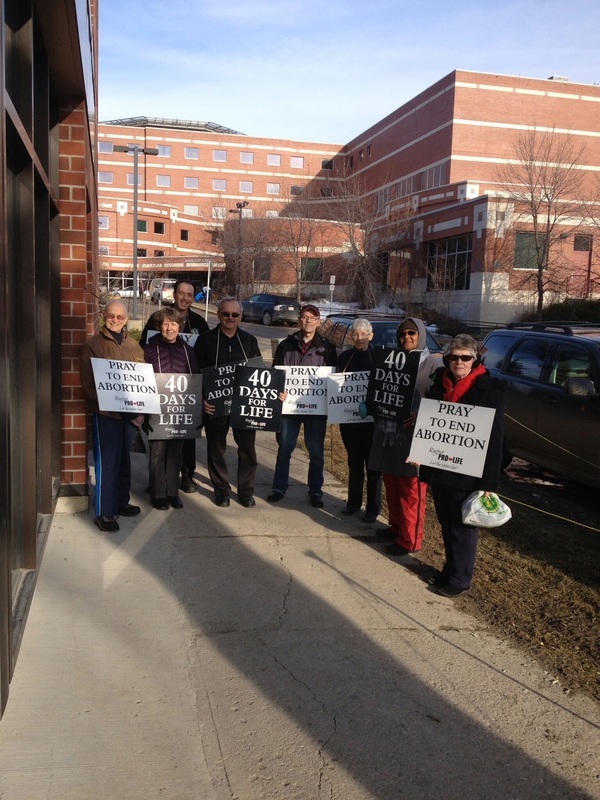 A very special thank you to our volunteer Dan Labelle who took care of all the signs. 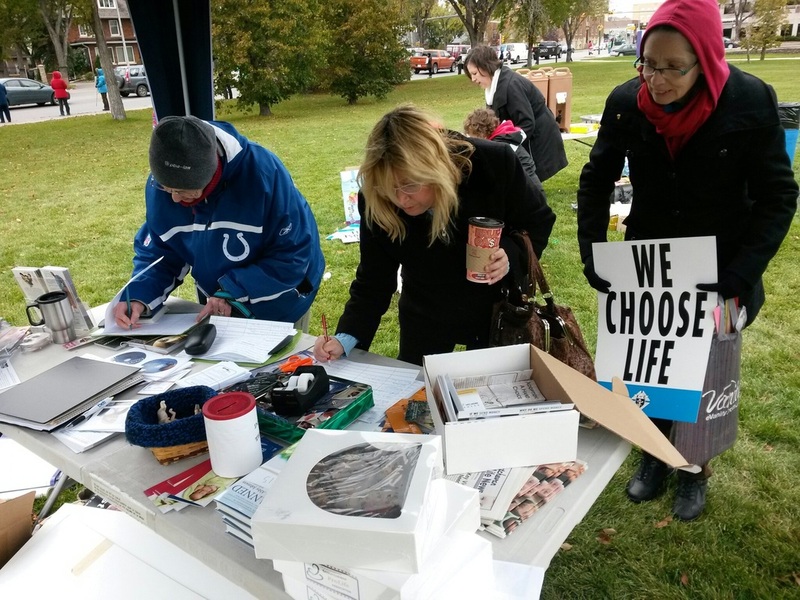 On Sunday, October 5th, Regina Pro-Life hosted Life Chain. The day was overcast but it wasn't raining. 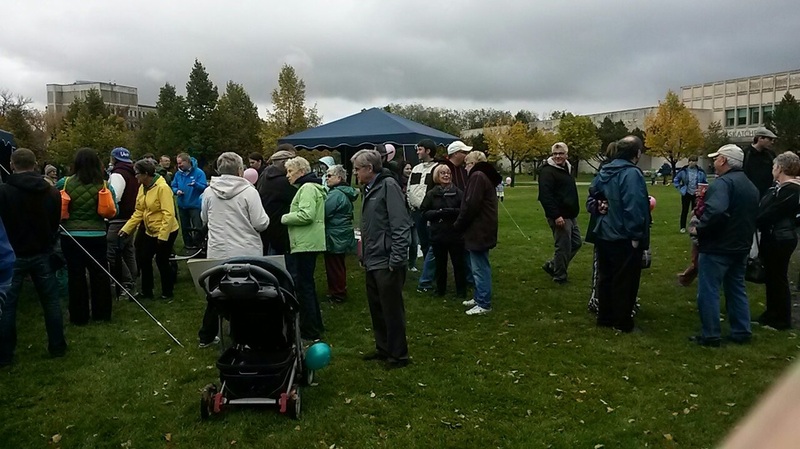 There were a lot of people arriving despite the cold wind. 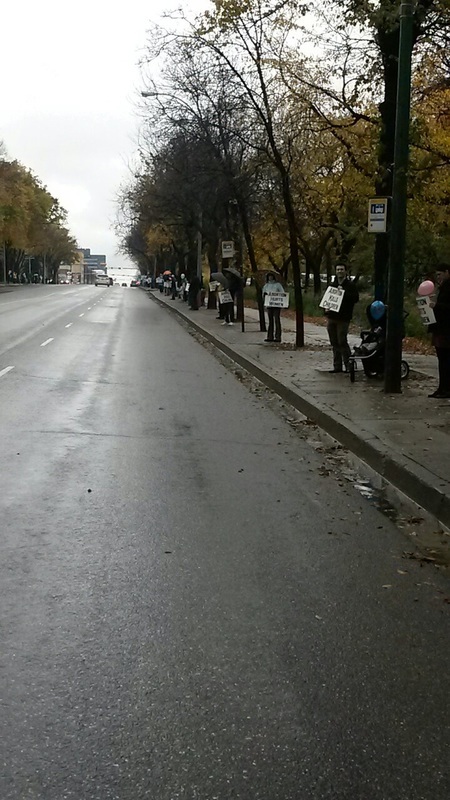 Our line stretched from College Ave to the Albert St bridge. Parents came with their children. 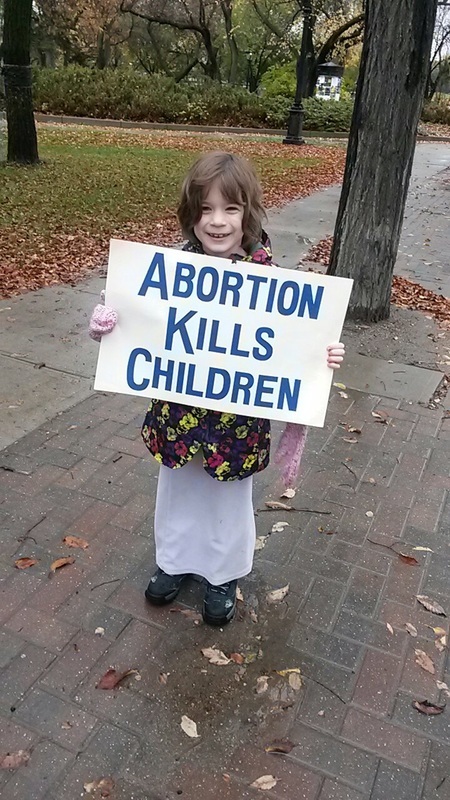 There were grandparents and clergy. Notre Dame of Wilcox brought a bus. 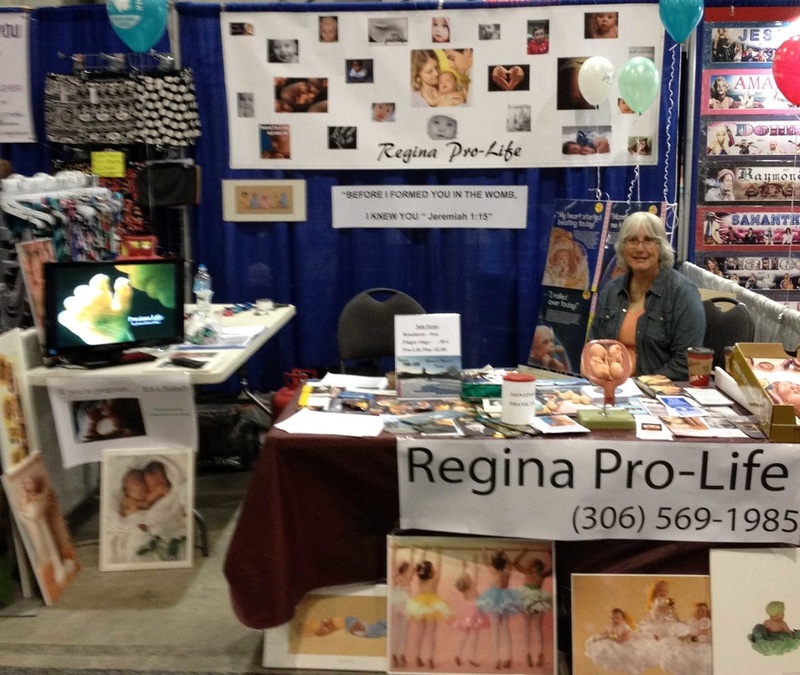 Families at Life Chain Regina 2014. 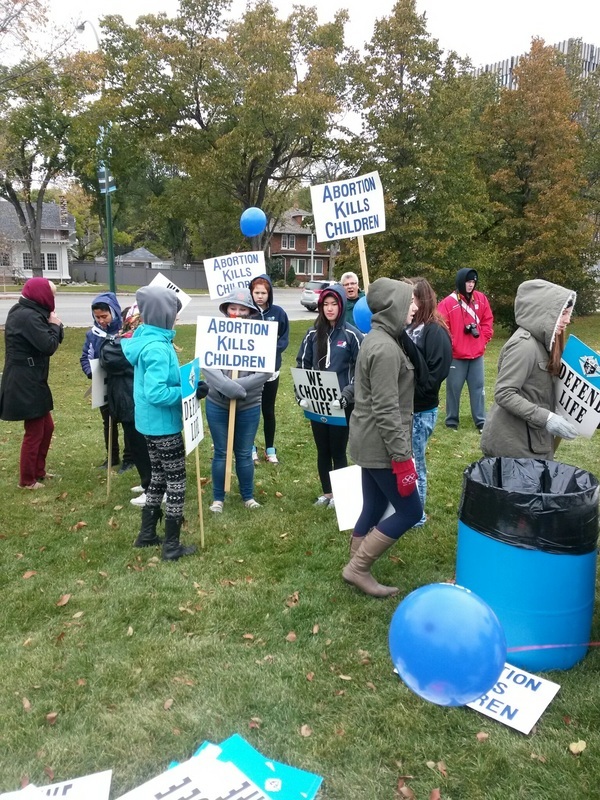 At least 200 people braved the cold. 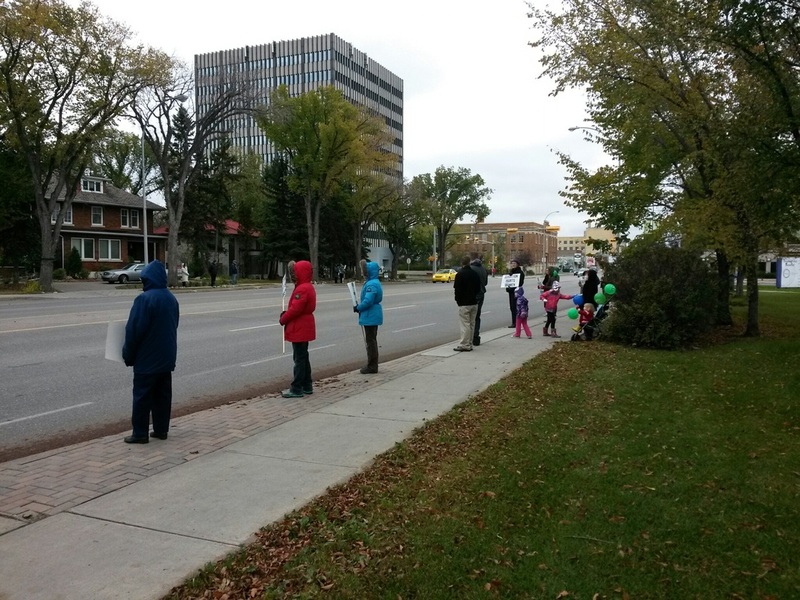 Life Chain Regina Saskatchewan 2014. 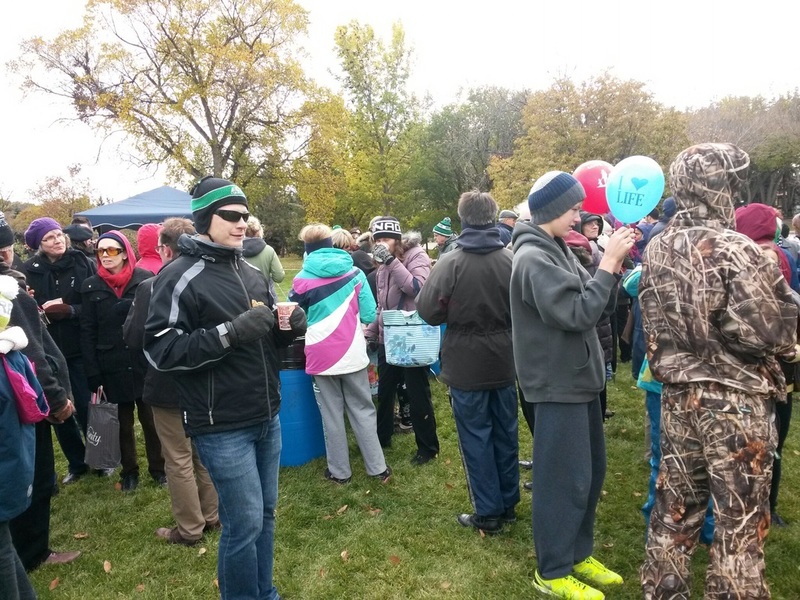 Afterwards we all stayed to enjoy some hot chocolate and coffee. 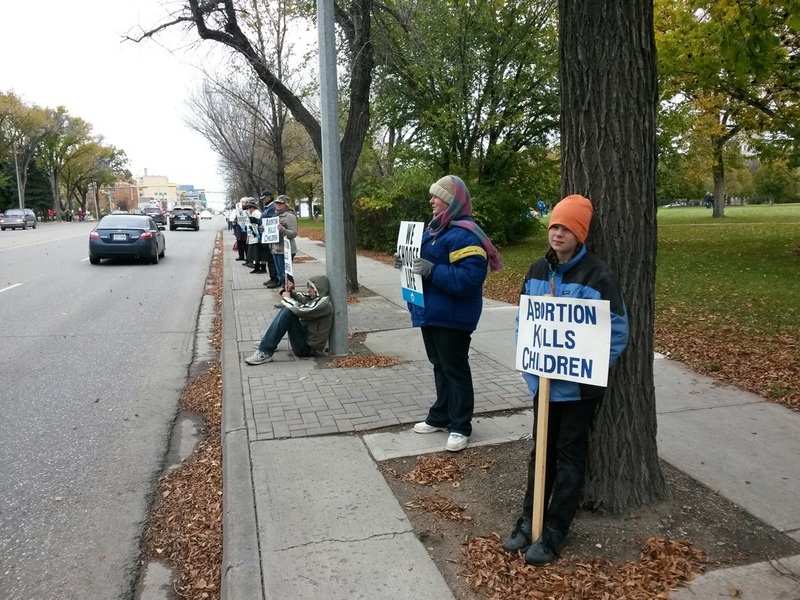 Warming up at Life Chain Regina 2014.